Did you know that 90% of bad breath is caused by the tongue? Did you also know that using a regular toothbrush on your tongue is bad for you? The majority of bad bacteria is at the back of the tongue and the TUNG brush is designed to reach back there comfortably and not cause you to gag. Making it the perfect tool to getting rid of the bacteria as well as ridding bad breath for good! 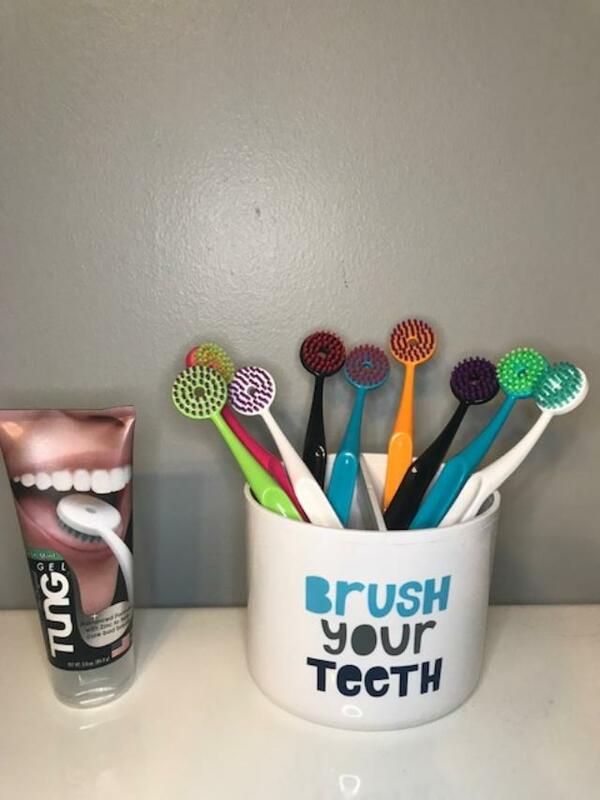 Brush your teeth AND your tongue with help from TUNG brushes. I've really grown fond of these little brushes. They're right, they work to kick bad breath and they don't gag, you can get the very back of your tongue with no issues and no gagging at all. Super easy to use and the gel tastes AWESOME! TUNG is looking for YOUR help and they want you to vote for your favorite color. Visit the site and take a vote!!!! They are trying to narrow it down to about 5 colors! 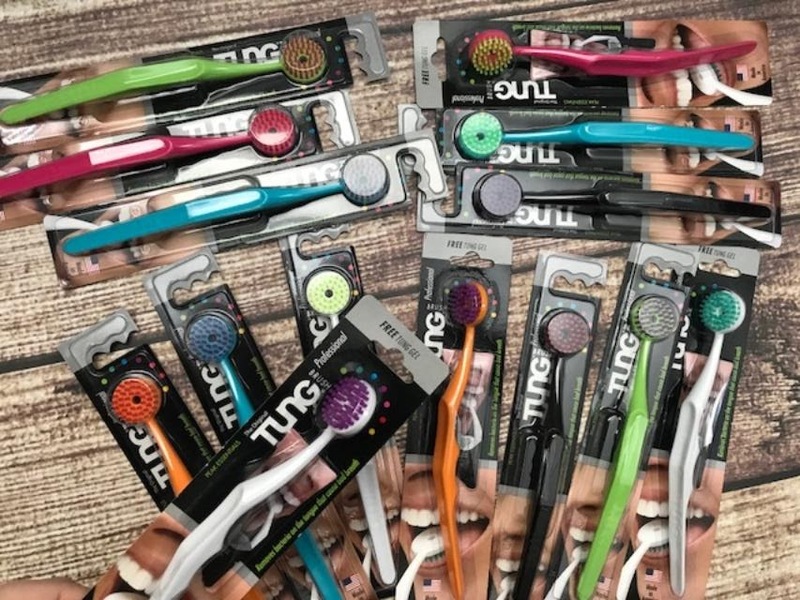 Price: Brushes are $5.27 for one or $19.17 for 4. Gel is $5.49. OR 2 brushes and 2 gels are $19.17 as well. If you're ready to order click here and enter code sxvk-ppsp-rcbv to save 10% AND free shipping on a set. These look so interesting that I will definitely have to try. Thank you for your review.